Flip Out Mama: New From Hasbro Games: Connect 4 Launchers Review and Giveaway!!!! New From Hasbro Games: Connect 4 Launchers Review and Giveaway!!!! One of Tater's favorite games has always been Connect 4. I mean, I loved Connect 4 when I was a kid too, so I guess it's only natural! So, when we recently got a chance to review a *NEW* Connect 4 Game, we were really pumped about it! Connect 4 Launchers is a new, fast action, frantic flyin' way to play Connect 4! I like to think of it as Connect 4 on Red Bull. ;) There are two tiers of playing boards: a top layer, and a bottom layer. You grab your launcher, and do your best to aim your marker ( a ring now, instead of the classic checker) to land where you want! The top layer is worth two points, while the lower layer is only worth one.. The first player to get five points, is the winner! Now, if you would like to try this awesome game for yourself, here's your chance! 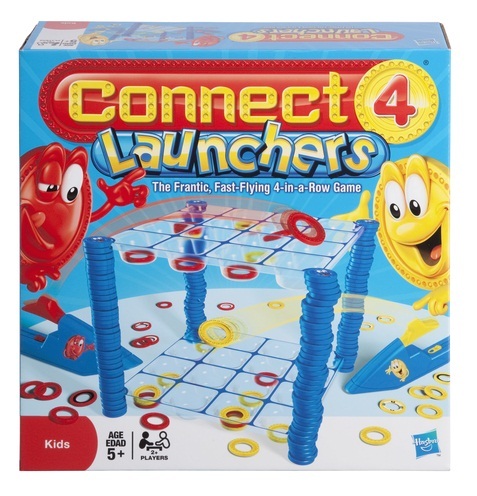 One lucky Flip Out Mama reader will win a Connect 4 Launchers game for themselves! Mandatory Entry! Must be completed for the extra entries to count! This contest will end at approx 11:59 pm on 8/19/2011! US residents only. Winner will be chosen via random.org and will have 48 hours to respond to email notification or an alternate winner will be chosen. Sponsor is responsible for shipment and prize fulfillment. I received a sample product in order to conduct this review, however, no monetary compensation was received. All opinions are my own. My favorite board game to play as a kid was operation.....I <3 it!!! I absolutely love to play checkers!!! I used to love playing Sorry! I loved Clue! I played it with my brothers & sisters all the time! I loved playing checkers as a kid. My favorite board game as a kid was Sorry. Life - so much fun! My favorite board game was Clue when I was younger! I loved it! 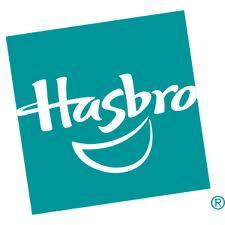 like Flip out mama on FB - Marianna B.
like Hasbro on FB - Marianna B. My favorite was The Game of Life. My favorite board game as a kid was called Survive! I also loved Life and Stratego. Hasbro Twitter follower as jennem1. I liked Sorry! and we still play it with the kids. sorry was my fav child hood game! I follow flip out mama on facebook and follow flip out mama on twitter. oh phooey, i just saw on fb that the deadline is up to win. congrats to the winner!